Ever since I wrote my post on unmatched socks I have been trying to decided how to recycle them. 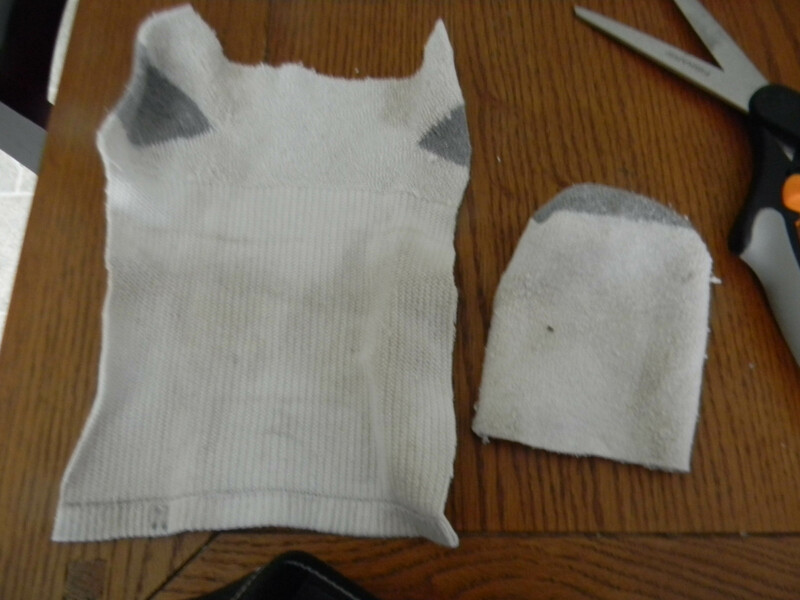 There are lots of ideas on the internet for recycling socks, puppets (no), coin purse (no) and drink cozy (NO WAY). Can you imagine your friends coming to a bar-b-que and handing them a can with an old sock on it??? Guess if you don’t want them to come back. 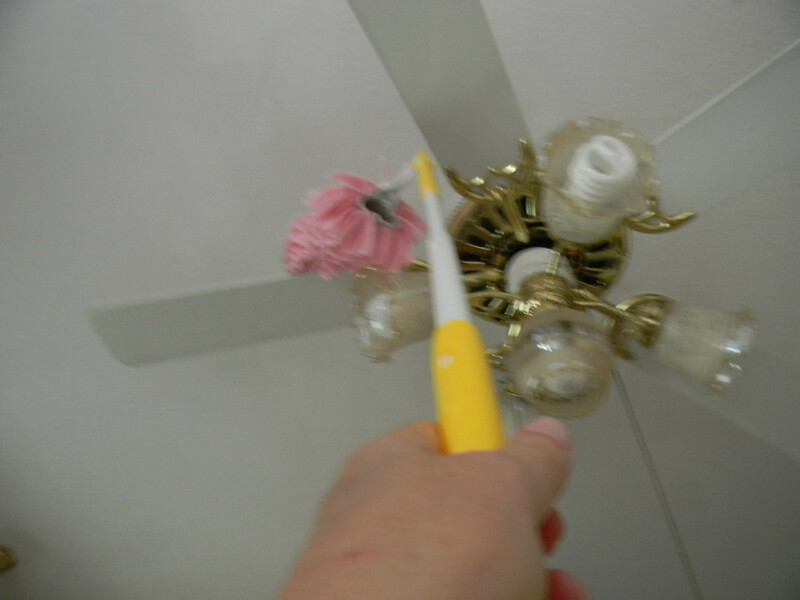 I really like those dusters, you know the ones that come with the long handles so it reaches the fan blades, especially since I am only 4’11”. They are expensive though as I am always purchasing refills. 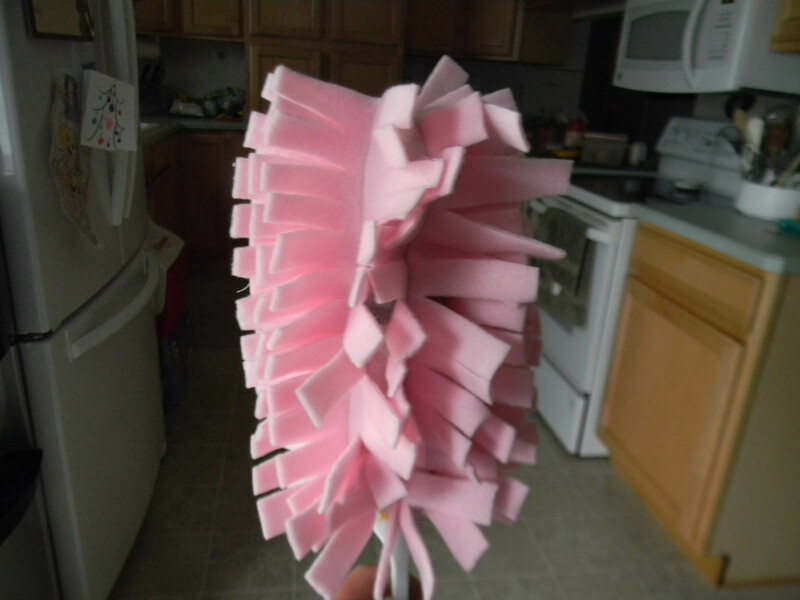 This is where the idea comes in to make a reusable duster. 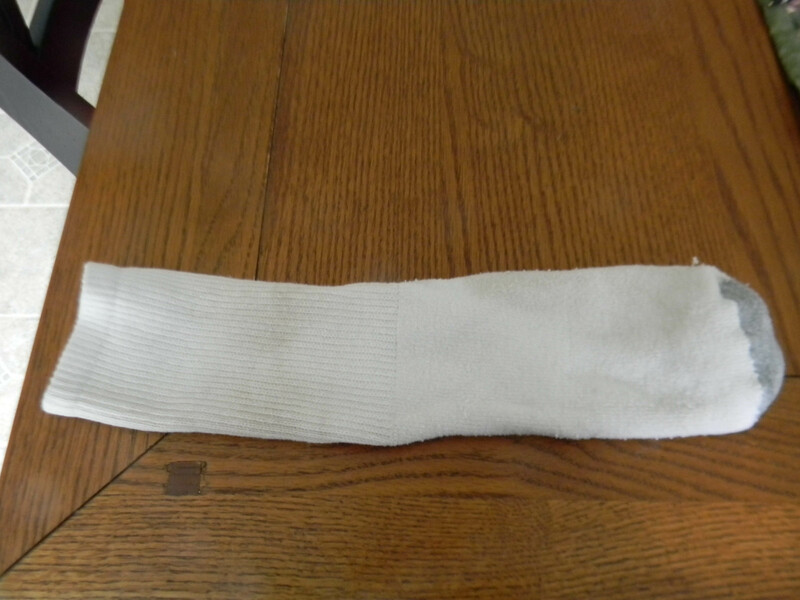 What you need is an old sock, if you are like me you have several that don’t have mates, and 8″ of 60″ wide fleece. 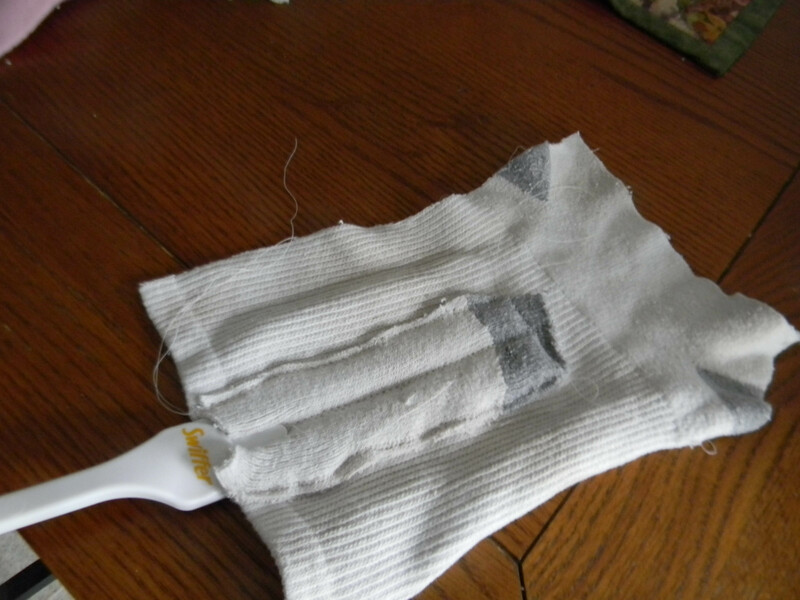 Cut the sock off at 8″ and then cut it open. Take the piece that you cut off the toe and cut it the length of the handles on your wand. Then cut this piece open so that is lays flat. 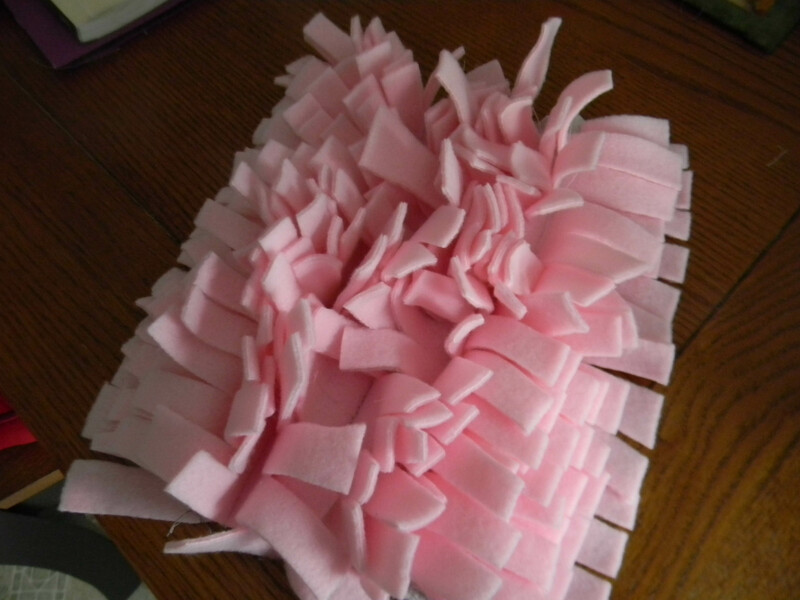 Cut the fleece into two 4″ strips then cut the strips into 7 1/2″ pieces. Lay the toe piece onto the main sock and sew it down on the two sides and top. Then sew down the middle of this piece. I did this with a zig zag so that the edges would not fray and it will stretch some. Make sure you handle will fit nicely into this pocket. 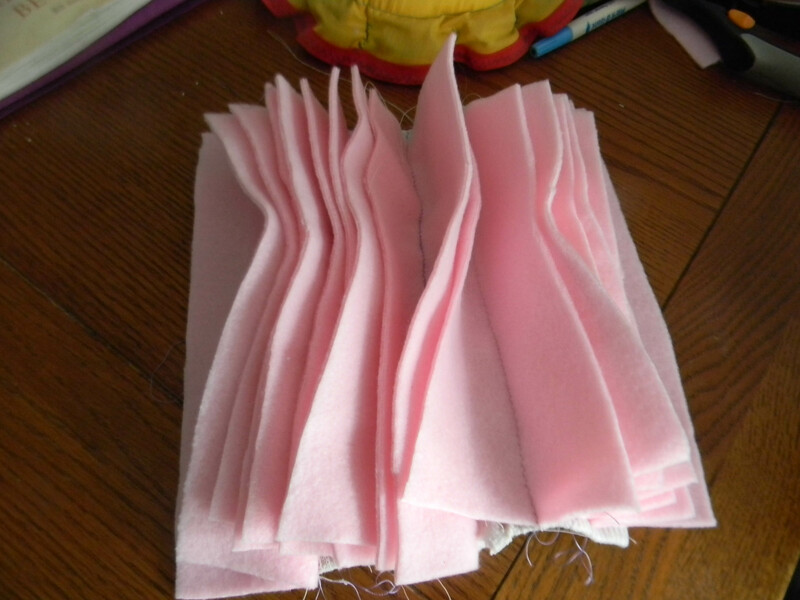 Fold the fleece strips in half and mark a line for sewing. You can use a pencil or a marking pen. 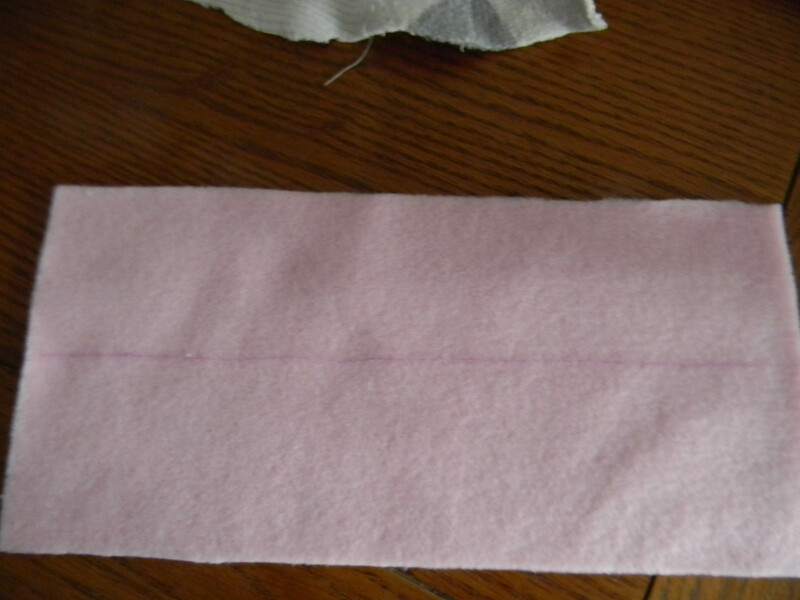 Lay the first strip 1/2″ from the left edge and 1/2″ from the top, pin and sew using a zigzag stitch. Lay each additional piece as close as you can to the next strip. Do not sew over the toe pocket. Lay one strip centered over the toe pocket. 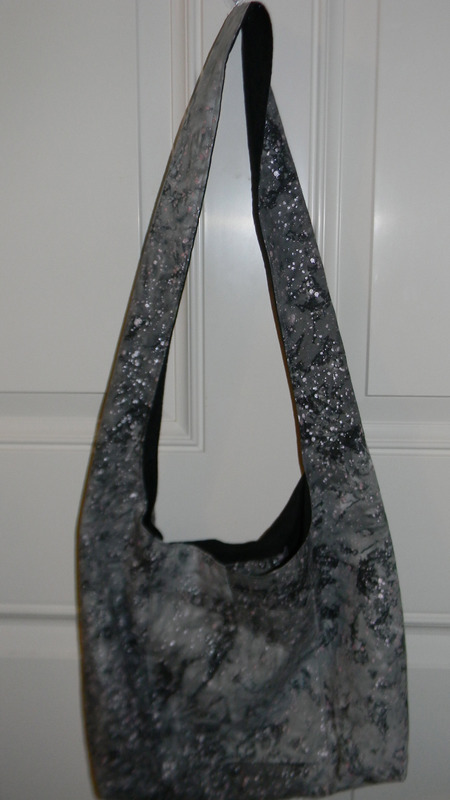 I flipped it over and sewed over the stitching I had already sewed. Now start from the right side working your way towards the center. 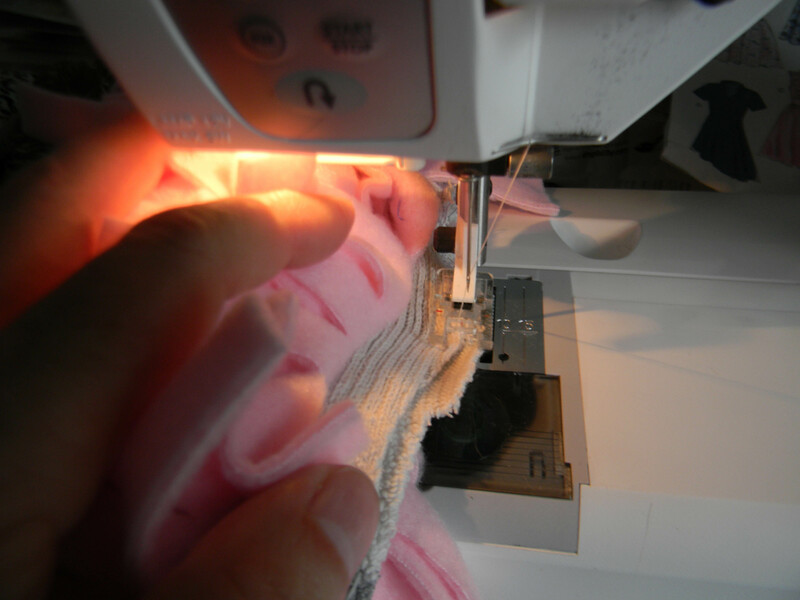 Next sew the two sides of the sock back together using a zigzag stitch, being careful not to sew through the fleece then zigzag the top together. 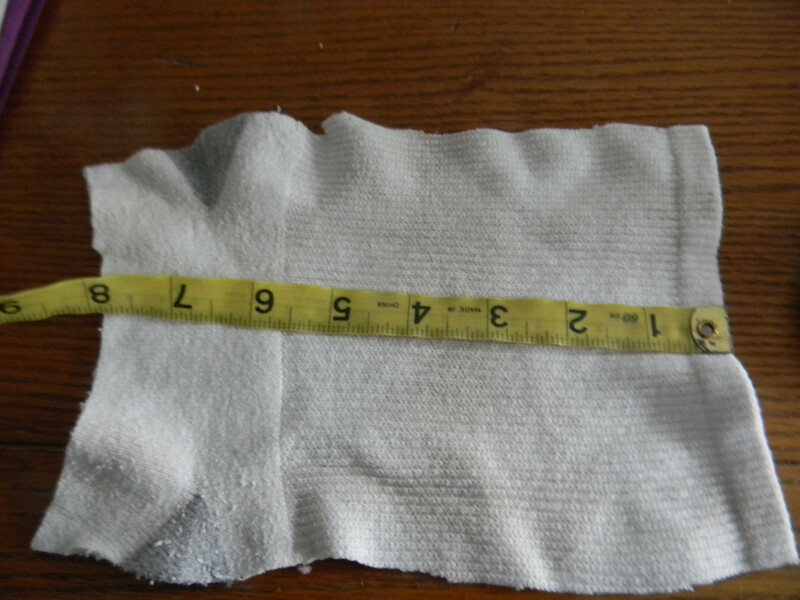 Cut all the fleece pieces about 1/2″ wide being careful not to cut the sock. You are now ready to put the duster on the handle and dust away. The best part is when it is dirty you can toss it into the laundry. Even if you don’t have a handle you could make this to just slip on your hand by following all the steps but leaving off the toe pocket. 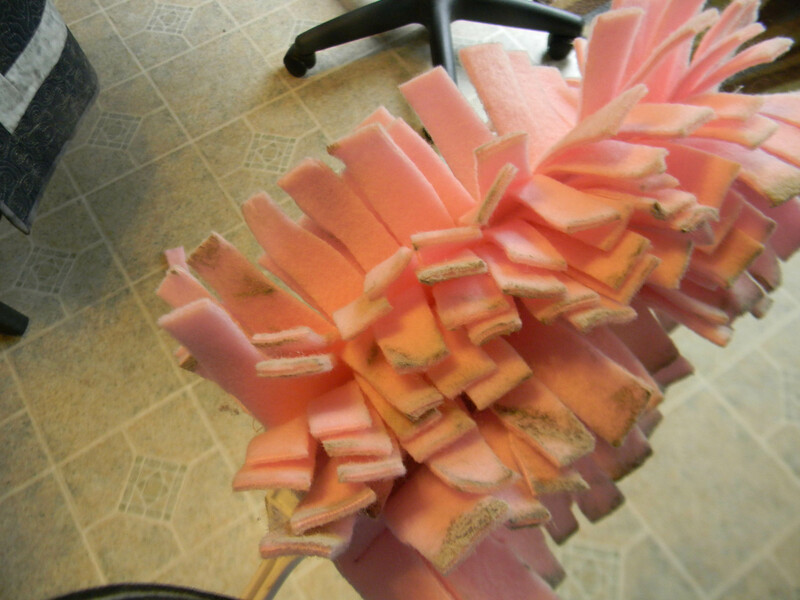 This entry was posted in Posts and tagged cleaning, dusting, fleece, recycled socks. Bookmark the permalink.